In India, the meaning of the term ‘Visa’ has now changed! Unlike the old days, now you don’t have to stand in the queues the embassy waiting for your turn to come for all that document verification required to get permission to travel, in short, a visa. All you can do now is just anytime plan an international vacation and get your visa on your arrival at the airport of that particular country where you will be vacationing for the next few days. Yes, it’s true! Not all, yet, most of the countries provide the option of visa on arrival to Indian nationals. Well I guess, that’s a great effort towards changing the perspective of travelling overseas. Since most of the countries have introduced this new way (which is also the easiest) of getting a visa for Indian tourists, their tourism is also significantly increasing. In total, there are 58 countries that offer visa-on-arrival to Indians. And of all those, we have picked 10 best pre-entry visa-free countries that are quite popular amongst Indian travellers. Also, an international trip from India to any of these destinations would not give a much burden on your pocket, which remains the prime concern while travelling internationally. With that being said, let’s get started! Well, in simple words, Visa-on-arrival allows a tourist to travel to a particular country without any pre-entry visa, i.e, an individual doesn’t have to file a visa application form at the high commission office. However, a person still has to obtain a visa which can be easily acquired upon the arrival at the airport of the destination country where that person will be staying for the next few days. Visa on arrival travel is the easiest and the most convenient way of travelling internationally. Moreover, a country grants the facility of visa on arrival to the nationals of only limited countries. 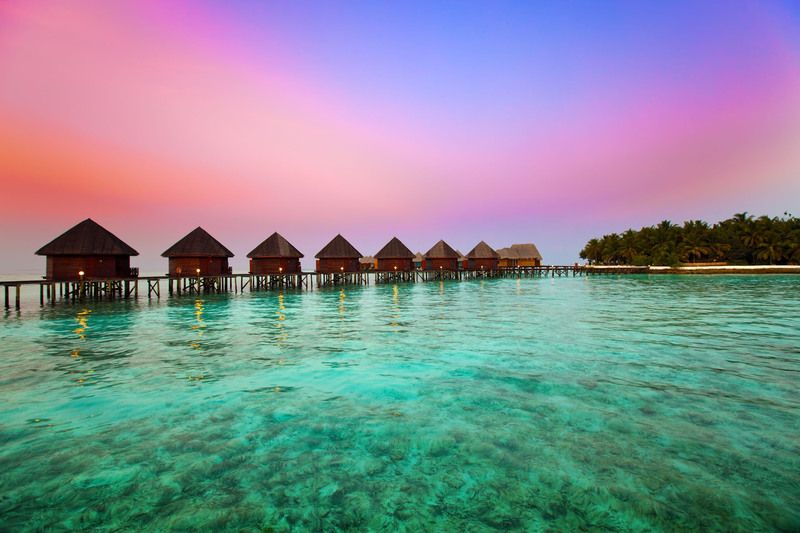 Exotic beaches, turquoise waters, and enthralling water sports, tourism in Maldives is naturally blessed with some exquisite experiences that are more than worthy for an impeccable vacation. For Indian passport holders, the country initially offers thirty days free visa on arrival. However, if a tourist wishes to spend more time in the country, there is an option of renewal of tourist visa. For that, one has to apply to the immigration before the expiration of the already issued visa. On approval of your extension, you would be granted a visa for 90 days which also includes those 30 days granted earlier on arrival. A valid passport with Machine Readable Zone along with 6 months of validity. Enough funds to ensure your stay in the Maldives or a resort/hotel booking confirmation. 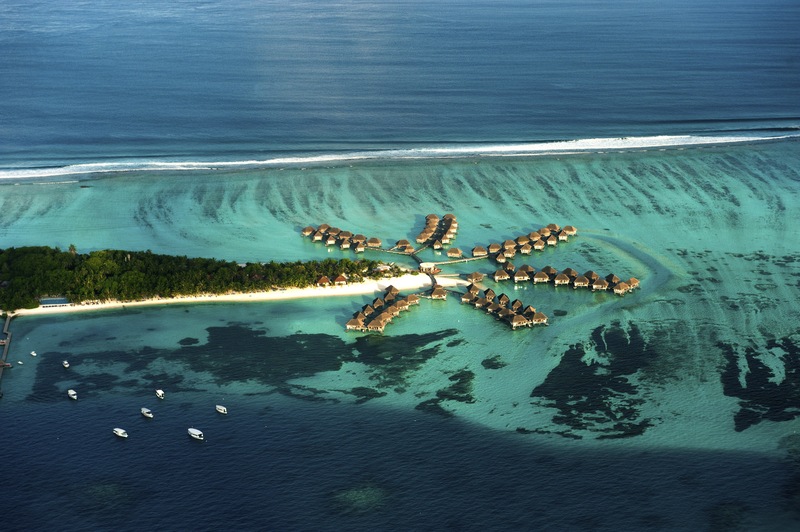 There are flights plying from Indian cities like New Delhi, Kolkata, Kochi, Chennai, and Mumbai to Male, Maldives. Ticket prices can vary as per the season and time of booking, and hence, it is advisable to book your flights months prior to your vacation. Attractions and Things to Do: Veligandu Island Beach, Maldive Victory, Alimatha Island, Atoll Transfer, Spas, Shark Diving, Boat Tours, Water Skiing, Jet Skiing, Bikini Beach, Male Fish Market, Snorkelling, Dolphin Spotting, Surfing, and Sunset Romantic Dinner. Evidently, a heaven for all those who prefer a vacation amidst the serene ambiance of beaches, waterfalls, and national parks, Mauritius is one such perfect travel destination in the world that is ideal for any sort of vacation, whether honeymoon, family trip, solo vacation, or a group voyage. Making it easy for Indian tourists, Mauritius Government offers a visa on arrival for a maximum period of 60 days. A confirmed accommodation booking in the country. A sponsorship to get a visa on arrival. A confirmed booking for a return flight. Sufficient fund to bear all the expenses during the stay in Mauritius. Indian cities like Mumbai, New Delhi, and Chennai offer a great connectivity for tourists travelling to Mauritius. The whole journey takes around 6-7 hours and the ticket price can be cheap if you book in advance. Attractions: Grand Baie, Chamarel Coloured Earth, Casela Nature Park, Jalsa Beach, Grand Bassin, Downtown Port Louis, Le Morne, Rodrigues, Rochester Falls, La Cuvette Beach, La Vanille, Pereybere Beach, Blue Bay Marina Park, Chamarel Waterfalls. Best Things to Do: Quad Biking, Horse Riding, Nature tour, Catamaran Cruises, Dolphin & Whale Sightseeing, Underwater Activities, Canyoning, Zip Lining, Water Sports, Hiking & Trekking, and Deep Sea Fishing. In Cambodia, tourists get to explore a unique world of ancient culture and modern tourism. To promote its tourism, the government of the country has applied some ease in the rules of visa obtaining procedure. The country offers three options of getting a visa for any Indian traveller; E-tourist visa, visa on arrival, and application at the Embassy of Cambodia. Talking about visa on arrival, it is valid for 3 months from the date of issue. However, if a tourist wishes to extend his/her stay in Cambodia, the visa on arrival can be extended for extra 30 days. For that, one has to apply for the extension of visa at the immigration. Tourists must have an original passport with a validity of at least 6 months. A tourist must have a recent photograph with a white background. A confirmed ticket of return flight must also be there along with other necessary documents. Tourist must have a sufficient account balance to bear his/her expenses while staying in Cambodia. The cities of New Delhi, Mumbai, and Chennai give tourists an easy access to reach Cambodia through frequent flights via Bangkok. For the best ticket prices, it is advisable to book your tickets months before your vacation. Things to Do: Cycling, Cruising Mekong, Ta Prohm visit, Diving at Sihanoukville, Shopping, Cambodian Spa, and Hangout at laid-back beaches. Officially called the Hashemite Kingdom of Jordan, this country offers so much to explore, experience and relish. From World Heritage Sites and mind-boggling desert landscapes to a World Wonder – Petra, Jordan has numerous delights to satiate the wanderlust of any traveller. Moreover, Jordan is one of those amazing holiday destinations that offer Indian tourists the option of visa on arrival. The granted Jordan visa is valid for the maximum period of 14 days. A photocopy of the passport page with all the personal details. One passport-size photograph with a white background. A covering letter stating the reason and purpose to visit Jordan. Travellers can book their flights the airports of the major cities like New Delhi, Mumbai and Kolkata to reach Jordan. There are no direct flights to Jordan, either the flights go from Abu Dhabi and Dubai or from Muscat. The journey takes around 10 hours. Popular Tourist Attractions: Petra, Wadi Rum, Colonnaded Street, Ajlun Castle, The Treasury, Aqaba, Dead Sea, The Jordan Valley, Mount Nebo, Roman Theater, Ma’in Hot Springs, Temple of Hercules, The Baptism Site of Jesus Christ, Temple of Artemis, Jordan National Gallery of Fine Arts, Umm Qais, Wadi Mujib, and Rainbow Street. Best Things to Do: Chill-out at the Dead Sea, Relax at the Red Sea in Aqaba, Enjoy Sunset at Tala Bay, Experience the magic of Middle East, and Indulge into Desert Safari. Be it the lavish nightlife, exotic beaches, bustling shopping streets, delectable cuisine, pristine nature, and sedating ambiance, Thailand bids the best of everything when it comes to tourism. And to expand its tourism, the government of the country bestows the service of visa on arrival for the tourists of selective countries, and India is one of them. The country allows Indian tourist to discover the country for a maximum period of 15 days. His/her passport must be valid and should have a minimum validity of 30 days. A return ticket must be booked in advance. In the case of a solo traveller, a person must have at least 10,000 THB to ensure his/her stay in Thailand. Whereas, if you are visiting Thailand with your family, the required minimum funds raise to 20,000 THB. Major cities of India like New Delhi, Chennai, Kolkata, Kochi, and Mumbai are very well-connected with Thailand through frequent direct flights to Bangkok. The entire journey takes some 2-4 hours. If you want to save some money then book your tickets in advance. Popular Tourism Attractions: Railay Beach, Koh Phi Phi, The Grand Palace, Sunday Walking Street, Pai, Khao Yai National Park, Sukhothai Old City, Ayutthaya Historical Park, Doi Suthep, Erawan Falls, Hua Hin Beach, Mu Ko Ang Thong, and Wat Arun. Best Things to Do: Island hopping to Krabi & Phuket, Hill Tribe Village Tour, Explore the Floating Markets, Shopping, and Explore the Nightlife. Whether you are visiting Madagascar because of its exotic urban life, enticing natural wonders, magnificent infrastructures or enthralling wildlife, this country will surely leave an indelible mark in your memories that you’ll remember for a long time. In the recent year, the country established itself as a prominent travel destination in African continent. For that, the country also proffers the option of visa on arrival for Indian tourists. The granted period of visa on arrival remains for a maximum stay of 30 days in Madagascar. A valid passport with validity of minimum six months. Two original visa application form with all the details. A covering letter stating the reason and purpose of visiting Madagascar. Proof of sufficient fund to ensure your stay in the country. Booking confirmation receipt of hotel/resort where you will be going to stay. Most of the flights reach Antananarivo in Madagascar via Abu Dhabi and Nairobi. The journey is a bit long. Popular Tourism Attractions: Ranomafana National Park, Masoala National Park, Andasibe-Mantadia, Royal Hill of Ambohimanga, Ifaty, Avenue of the Baobabs, Nosy Be, Tsingy de Bemaraha, Isalo National Park, Ile Saint Marie, and The Queen’s Palace. Best Things to Do: Kitesurfing, Windsurfing, Scuba Diving, Hiking up to the Andringitra Mountains, Shop at Zoma Market, Surfing at Ambinanibe Ballade, Cultural Tour at Antandroy Village, Snorkelling around The Nosy Hara Archipelago, and White Water Rafting on the Rapids by Lily Falls. The land of iconic attractions, Indonesia is indeed one of those travel destinations that you can find in almost every Indian traveller’s bucket list of international destinations to visit. However, the country itself gives Indian tourists a chance to come and explore the grandeur and exquisiteness of the country through an easy option of visa on arrival. Although the country allows Indian tourists to visit on no visa policy but that depends on the length of your stay. If that length does not exceed the period of 30 days then there is no need to obtain a visa for Indonesia at all, however, if it does, the country gives you the option of visa on arrival. For that, one has to pay a minimal fee in return of the stay between 30 and 60 days. Though a visa can be extended for another 30 days only. For that, one has to visit immigration office during his/her current visa on arrival period. Original passport with minimum 6 months of validity. Receipt of advance hotel/resort booking. Proof of sufficient funds to ensure your stay in Indonesia. Covering letter stating the reason and purpose of visiting Indonesia. Flights from India allow tourists to reach Bali, Indonesia via Singapore and Bangkok. The journey can be 10-15 hours long. However, booking flight tickets months before your vacation could help you to save some of money. Popular Tourist Attractions: Jakarta, Yogyakarta, Mount Bromo, Lake Toba, Bali, Lombok, Tana Toraja, Baliem Valley, Komodo National Park, Gili Island, Sacred Monkey Forest, Kalimantan, Mount Krakatau, Jatiluwih Rice Fields and Banda Islands. Best Things to Do: Surfing in Kuta, Pilgrimage Tour at Borobudur Temple, Sunbathe at Wah Island, Taste Padang Food, Trekking in Bukit Lawang, Dive in Raja Ampat. Nurtured by nature and serene environ, Saint Lucia is undoubtedly one of the concealed beauties of this world. From gorgeous beaches, rolling mountains, and volcano peaks to rainforests, waterfalls, and small fishing villages, Saint Lucia is a paradise for all the vacation seeker in the West Indies region. Like most of the countries and island nations, Saint Lucia too offers the services of visa on arrival for Indian tourists. The time period of the Saint Lucia visa on arrival is up to six weeks that can be extended on tourists’ wish and financial status. A valid passport with a validity of at least six months. Sufficient fund to bear all the expenses during a stay in Saint Lucia. Connecting flights to New York, Miami, and London connect Indian tourists to Saint Lucia. The journey is a bit expensive and quite a long, and thus, it is advisable to plan your trip accordingly. Popular Tourist Attractions: The Pitons, Marigot Bay, Soufrière, Sulphur Spring Park, Diamond Botanical Gardens, Pigeon Island National Park, Rodney Bay, Enbas Saut Waterfall, Morne Fortuné, and Derek Walcott Square. Top Things to Do: Shopping in Castries Market, Spending leisure time at Splash Island Water Park, Exploring Tet Paul Nature Trail, and Snorkelling & Diving in Anse Chastanet Marine National Park, Spa Massages, and Sail Along the Coast. A treasure trove of more than 300 sun-kissed islands tucked away in the South Pacific, Fiji is indeed a perfect candidate for that laid-back luxurious vacation. Beyond islands and beaches, Fiji is one of the best tourist-friendly countries with exquisite villages, gorgeous churches, sublime gardens, and thrilling adventure sports. A vacation at this beaut land is indeed a surreal experience in itself! And being an Indian nationale, you have the opportunity to relish that experience (without any hassle) to the fullest as Fiji tourism allows Indian tourists to explore the country on visa on arrival. The country grants a visitor permit to Indian tourists for up to 4 months from the date of arrival. However, the extension of visa is granted for another 2 months in return for an application fee. For that, one has to apply for a visa on arrival extension at immigration. An original passport with a validity of minimum six months. Proof of sufficient funds to sustain your stay in Fiji. Hotel/resort booking confirmation in Fiji. From India, there are connecting flights to Fiji via Singapore or Hong Kong. However, the journey is almost 24-our long, and hence, could be a bit high in cost. Popular Tourist Attractions: Bouma National Heritage Park, Beqa Lagoon, Pacific Harbour, Navua River, Garden of Sleeping Giant, Sawa-i-Lau Caves, Sigatoka Sand Dunes National Park, Kula Eco Park, Fiji Museum, Sri Siva Subramaniya Temple, Levuka, Tavuni Hill Fort, Musket Cove Marina, Navilawa, Snake God Cave, and Tavoro Waterfalls. Best Things to Do: Adventure, Beaches & Coastal Activities, Cruising, Sailing, Cultural & Heritage Tours, Diving, Golfing, Spa, Shopping, Sports, and more. Engirdled by the Bay of Bengal and the Laccadive Sea, Sri Lanka is an island nation which is blessed by stunning landscapes, luxuriant tropical forest, arid plains, majestic beaches, and a lot more. For art, history, nature, and wildlife lovers, Sri Lanka serves as a perfect hideout for that absolutely delightful vacation time. And the most interesting thing is that the country doesn’t ask for pre-entry visa from Indian tourists. All you just have to do is, on entering Sri Lanka, obtain an Electronic Travel Authorisation (ETA) visa from immigration which remains valid for 30 days. However, the fee must be paid in USD along with some documents that need to be verified by the immigration to grant an ETA for any Indian tourists. In order to process your ETA visa, you can apply online for picking up the visa stamped on arrival. This online application would take around two minutes to fill all the necessary details. However, the entire process of ETA on arrival will take as little as thirty minutes. An original passport with the validity of at least six months. Sufficient funds to bear all the expenses during your stay in Sri Lanka. Since, Sri Lanka is located south of India, therefore, reaching there is not a difficult task. There are several direct flights to Colombo, Sri Lanka from India. Since Sri Lanka is a neighbouring country of India, the journey is also short and inexpensive. Popular Attractions: Ella, Nuwara Eliya, Pinnawala Elephant Orphanage, Polonnaruwa, Dambulla Cave Temple, Adams Peak, Old Dutch Fort, Sigiriya Rock Fortress, Mirissa, Yala National Park, Trincomalee, Nilaveli, Arugam Bay, Dambulla, Kumana, and Pasikudah. Best Things to Do: Whale Watching at Mirissa Fishery Port, Train Ride from Kandy to Ella, Scuba Diving at Hikkaduwa, Camping at Yala National Park, White River Rafting in Kitulgala, Cruising at Trincomalee, Kitesurfing in Kalpitiya, Hot Air Ballooning at Kandalama, Casino at Colombo, Snorkelling, Surfing, Mountain Biking at Mirissa and Unawatuna, Trekking, and Rock Climbing at Bambarakanda. So, these were just a few nations from the list of countries that grant visa on arrival to Indian tourists. To give you an insight into those remaining countries, here I am mentioning the complete list of nations that give visa on arrival for Indian travellers.